After several years and four Netflix shows, the Marvel Mini-Series event The Defenders storms its way onto Netflix with its eight-episode order. 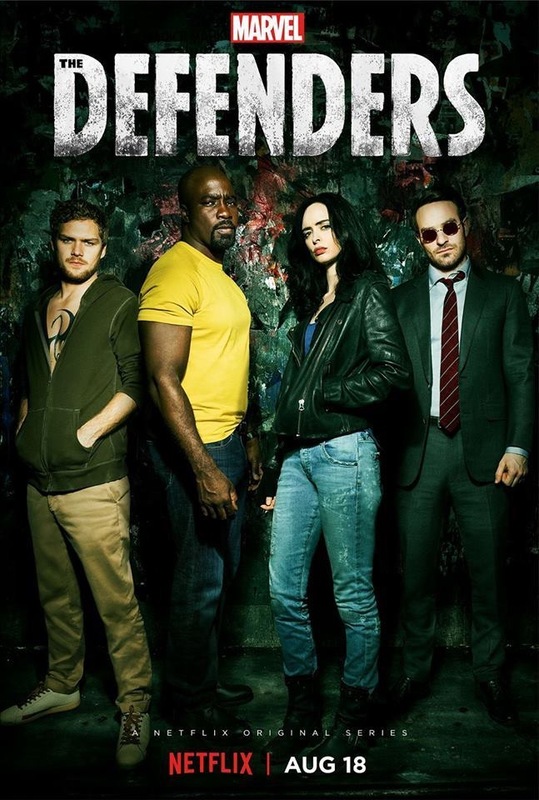 Picking up the various narrative strands established across their shows, The Defenders sees this low-key group of people put aside their differences and establish or reestablish bonds to face the one consistent threat that has plagued each of them – The Hand. From episode one, it’s immediately clear the show’s focus is on giving each character their fair share of screen time / development. We catch up to each character and get a glimpse into their mindset from where we last saw them. Daredevil has given up the life of the devil of Hell’s Kitchen, Luke is fresh out of jail and sets out to help the people of Harlem, Jessica is…being Jessica (classy) and Danny Rand is hunting the members of The Hand. After catching up with each character, the series slow burns it’s way into having their narrative threads cross paths. All of which circles back around to the mysterious Alexandra (played by Sigourney Weaver). THE DEFENDERS series goes like this – a satisfying slow build leads to a terrific mid section that lands shakily for a decent, albeit flawed climax. The fight scenes, when they come, are exhilarating, despite them lacking the confidence of the fight scenes of DareDevil’s first season , and the banter and budding relationship (or lack thereof) between each of the characters is very funny and handled quite well. Everyone gets their moment to shine. From Jess’s snarky behaviour (Ritter’s delivery is perfect) to Danny’s explanation of the mystical nature of the show to these grounded people. My comic history isn’t extensive, I don’t know the ins and outs of their relationships, but what I wanted as a viewer, I got. Every character has their strengths and they get enough fist-pumping moments across the episodes. Every character interacts with the other in a way that is unique to the two of them. And so it goes. Every hero needs a worthwhile adversary and The Hand’s Alexandra is played quite icily by Sigourney Weaver. There’s a menacing air to her delivery and the way she displays power is quite effective. She’s ice cold to the end. It’s in its third Act where THE DEFENDERS doesn’t land as smoothly as it might have hoped. This is partly due to the writing – developments unfold weakly – and partly due to some bizarre film making choices – hip hop replaces the bombastic musical score and takes a bit of the wind out of the sails. It doesn’t break away the solid foundation that was the first four episodes, but it sort of makes the climax a bit limp in the end. However, the idea of how these events may impact these people is an exciting one – something that I’m looking forward to seeing in the follow up seasons of each show. In the end, The Defenders is an entertaining yet flawed mini-series. Where it smartly gives screen time to each character and their relationship, it stumbles a bit in the mythology and villainy. Where it’s action scenes invigorate, it pulls a random musical choice out of thin air in a moment of misguidance. IF there is a sequel series – and hell, there just might be – let’s hope that these things are ironed out and the story and the craft remain solid and smooth.